•The first book in the quartet, The Untamed Bride, hit as high as #2 on the New York Times bestseller list and #3 on the USA Today list—a record-setting placement for the author. 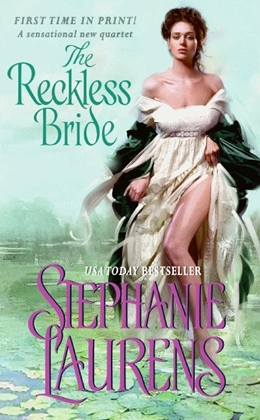 The second book, The Elusive Bride, had a 10% increase in point of sale over The Untamed Bride. •This lush new series, which launched Fall 2009, contains all the elements her fan base has come to love, plus fresh faces and new intrigue to grow her readership even more. This book wraps up the series with all the revelations readers have been craving. •Each and every Laurens title can be read as part of a series or can stand completely alone. She also sells around the world, with bestseller status in Australia.